Corporate Insolvency: Pension Rights is the only book of its kind to successfully bridge the gap between the two distinct disciplines of pensions law and corporate insolvency law by drawing out the legal principles applicable where the different legal regimes interact. 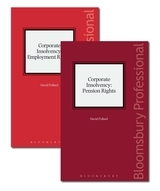 Providing in-depth analysis and drawing together legislation, case law, analysis and comment Corporate Insolvency: Pension Rights focuses on the application of the rules relating to corporate insolvency and how they impact on pensions. It explains the detailed elements of this specialist field of law and practice, providing a useful base on which to answer questions that are likely to arise. Coverage includes: the Supreme Court decision in Nortel and its impact on recovery under TPR's moral hazard powers; limits on the amount of contribution notices: Re Storm Funding; issues on s75 debts: MNRPF v Stena; cases on TPR's moral hazard powers; and surpluses on winding up: UC Rusal Alumina v Miller. 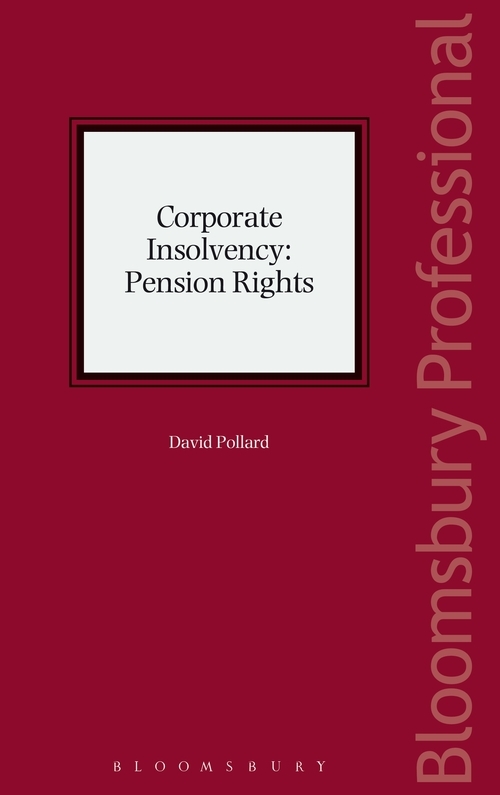 If you work as a pensions practitioner, corporate insolvency practitioner or accountant, you will find the up-to-date case law and practical analysis in Corporate Insolvency: Pension Rights an essential aid to your work. 10. Pension Claims – Provable Debts/Insolvency Expense/Adopted Contract/Black Hole? 22. Who is an Employer under the Pensions Legislation? 33. Who is 'Connected' or 'Associated'?